Minnesota welcomes international students! International students enhance the learning environment for all by bringing new global perspectives to the classroom. About 10,900 international and foreign-born students enroll at Minnesota postsecondary institutions each year. Of these students, 4,120 attended the University of Minnesota-Twin Cities, the state's leading academic research institution. 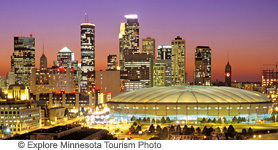 Minnesota was the 18th most popular destination in the United States for foreign-born students. From urban to rural, big to small, public to private, Minnesota's colleges and universities offer you a variety of choices. Minnesota is home to more than 175 public and private postsecondary institutions that enroll more than 415,000 undergraduate and graduate students each year. Search by academic degree or institution type. 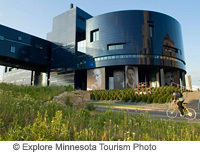 View quick links to campuses in Minnesota. Download or request a free copy of Your Guide to Choosing a College, which includes valuable information on more than 75 degree-granting Minnesota colleges and universities. Minnesota is in the north central United States near the geographic center of North America, and is 575 kilometers west of Chicago, borders Lake Superior and is the starting point of the Mississippi River. Minnesota gets its name from the Native American (Sioux) word minisota, meaning "water that reflects the sky." The Minneapolis/St. Paul International Airport (MSP) is among the busiest airports in the United States, serving 14 countries with direct non-stop service to and from Asia and Europe. The state is known as the "Land of 10,000 Lakes" and is recognized for its abundant natural beauty, cultural attractions, recreational resources and thriving economy. People in Minnesota enjoy four seasons--sunny summers, beautiful autumn colors, snowy winters and lush green springs--and spend much time outdoors hiking, biking, canoeing, skiing, fishing and more. The Mississippi River begins its 2,500-mile journey at Lake Itasca in northern Minnesota; and Lake Superior, the world's largest freshwater lake, forms the northeast border of the state. Minnesota has more than 144,500 kilometers of shoreline: more than the states of California, Florida and Hawaii combined. Over the last century, the Minnesota economy has transformed from one based almost exclusively on agriculture and mining to a service and product-oriented economy. 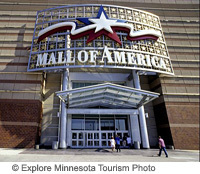 Many well-known companies began in Minnesota, including 3M, Imation, Best Buy, Medtronic, General Mills and Pillsbury. Minnesota is home to numerous corporate headquarters that span a variety of industries, including health care, agriculture, medical technology, insurance and retail. These companies include (but are not limited to) ADC Telecommunications, Alliant Techsystems, Cargill, Guidant Corporation, Hormel Foods, Land O'Lakes, Target Corporation, Travelers and U.S. Bancorp. Minnesota's diverse economy provides many internships and jobs opportunities. Learn about possible fields of study.